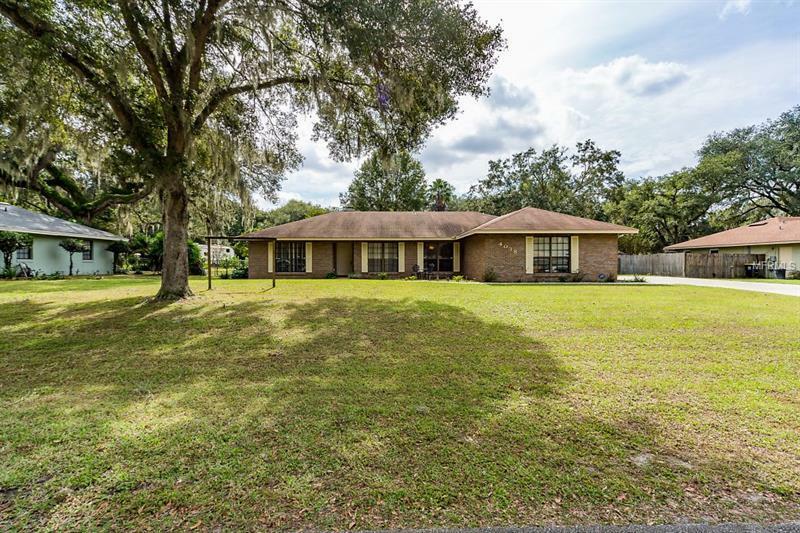 4038 Mather Road W Lakeland, FL. | MLS# T3141062 | Vogel Realty Services, Inc. | Expert Broker & Realtors Connecting Buyers & Sellers FAST | Central Florida Serving Plant City, Lakeland, Brandon, Valrico, & Tampa Florida. LET US PEAK YOUR INTEREST... Brick Ranch located in Rolling Oaks Estates. Long driveway allows plenty of room for boat, RV or stacking cars for entertaining. Enter home with open foyer that leads to living/dining room combination. Large front windows let the sunshine in. IMAGINE THE "CHRISTMAS TREE"overlooking front yard. INVITING CENTRAL FAMILY ROOM has full brick fireplace from floor to ceiling with french doors that lead to lanai. SEPARATE DINETTE, ready to be filled with good friends and good food, overflow dining, perfect for entertaining a crowd. A STEP SAVER KITCHEN without that crowded feeling... all appliances included. MASTER SWEET! Large master suite with his/her walk in closets, Master Bath with his/her sinks and walk in shower. Split bedroom plan with two additional bedrooms and bath. WHO CARES IF IT DRIZZLES? Move the picnic under large screened lanai overlooking fenced back yard. OVER 1/3 ACRE..large enough for a game of volleyball or pool. Additional storage provides room for lawn equipment or gardening supplies in separate shed. Side entry garage allows for plenty of room for two cars. Don't delay call me today!